Don’t waste time on tedious and time consuming math! Our on-line calculator computes the repatriation inclusion and tax for you. Focus your time on preparing their returns accurately and serving your clients. Our expertise is understanding PFIC regulations and delivering software that makes it easy to complete Form 8621. Conquer the pain of PFICs reporting. From basis adjustments to return of capital to unreversed inclusions, Form 8621 Calculator performs all the complex calculations for you. Confusing PFIC rules and calculations? Leave the heavy lifting to us. Let us prepare your Form 8621 for you. How to calculate Part V - line 15 of Form 8621? Generate the required entries for the Form 8621 and all affected 1040 schedules by simply entering the transaction summary of each fund in your client’s investment profile.Our Form 8621 Calculator provides you with a solution to this complex tax task. If you are someone who prepares their own taxes every year- but now you realize you own PFIC investments and need to file IRS Form 8621 to report them and you don’t want to pay an accountant to prepare your tax forms for you- we can help! Our upcoming Crypto Calculator isn’t the typical calculator that you can use for free online. Our Calculator prepares the Schedule D for Crypto currency exchanges and sales, handles Wash Sales, has a crypto currency database of 1500+ and can assign a basis to your coins. Save Time! Serve Your Clients! Stop the Headaches! Tired of the time-consuming calculation of Form 8621 for foreign citizens living in the U.S. or U.S. citizens living abroad who need to report their foreign investments? There is an easy solution. Form 8621 Calculator makes reporting all of the elements of Passive Foreign Investment Company Income (PFICs) easier. 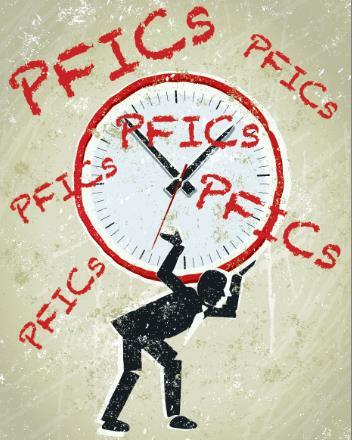 Enter your PFICs information and let Form 8621 Calculator handle the complex calculations. Why you need the Form 8621 Calculator in addition to your Tax Preparation Software?